You are here: Home / Bicycles / Bamboo Bikes / Bam! It’s Bamboo! What a creative idea….that is so cool! Wish I was there to see it! I was out racing…maybe next time I’ll be there! I’ll tell Mark to ride it over. I picked up some tubes last time. Thanks for saving! cool bamboo mark. i love the idea of a frame that is wood. are you using twine & epoxy for the joins? i saw calfee at the framebuilders show. interesting stuff. i think the glue smell would be hard to work with. Hey! 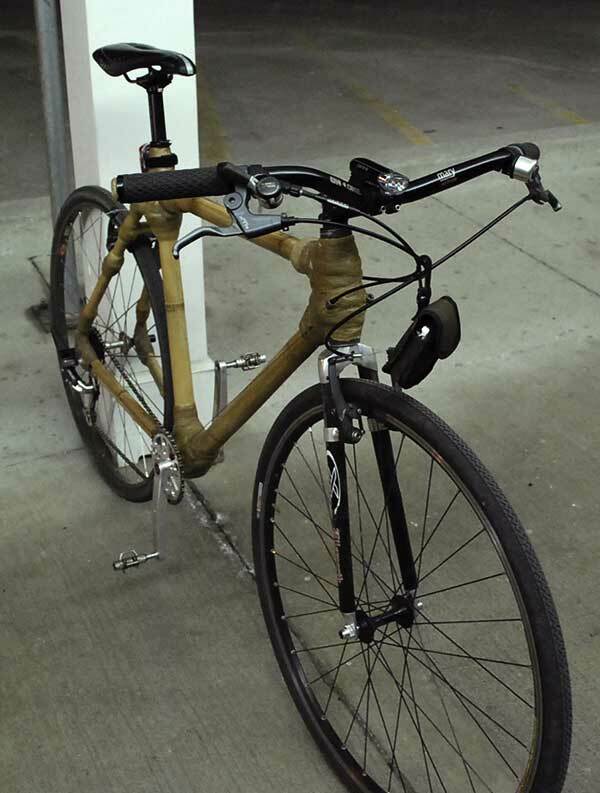 I’m loving the Bamboo bikes these days. 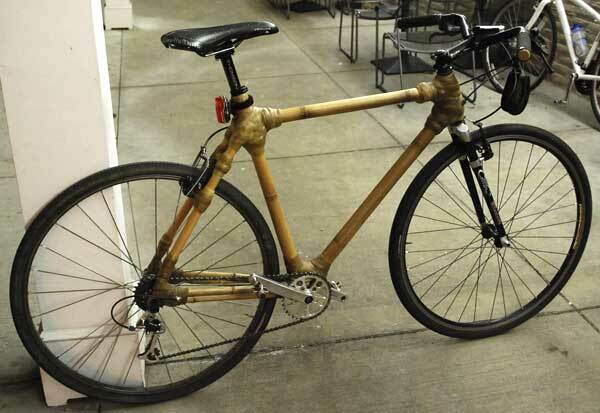 Do you happen to know what species of bamboo your friend uses for making his bikes? They are lovely!